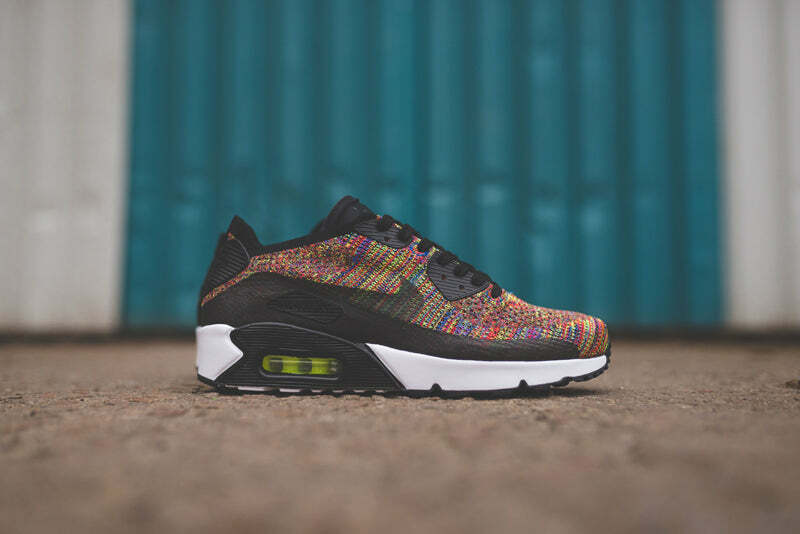 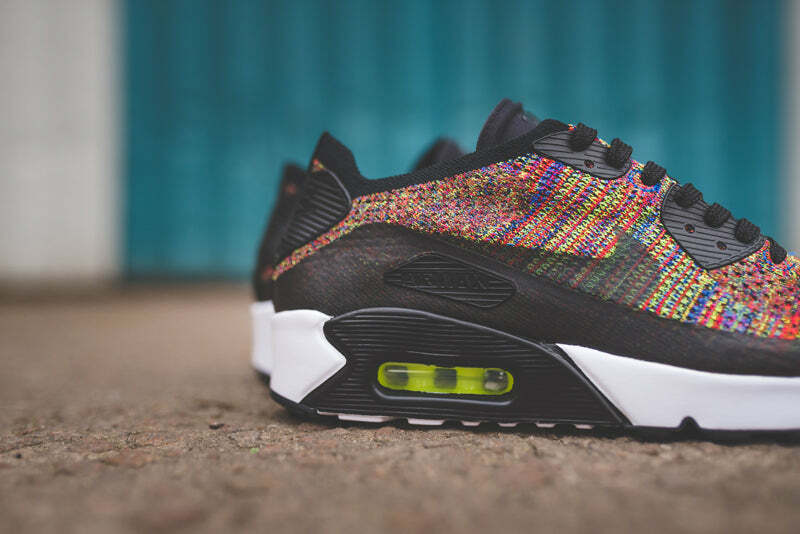 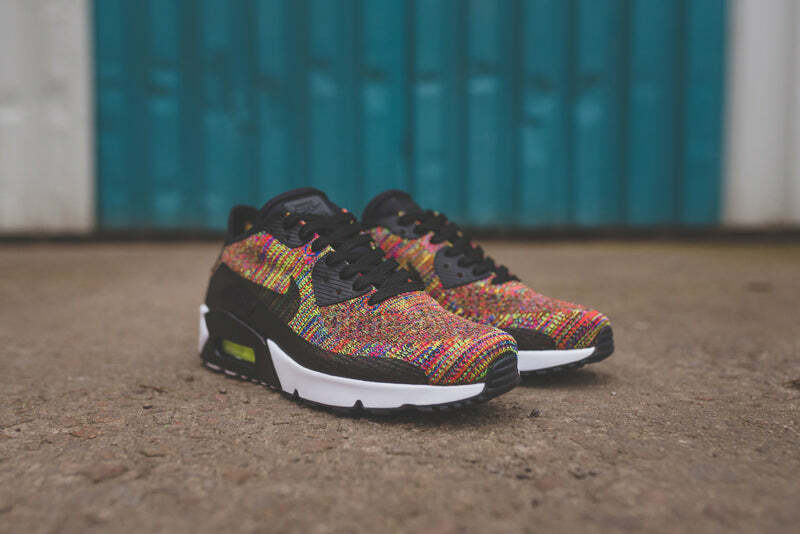 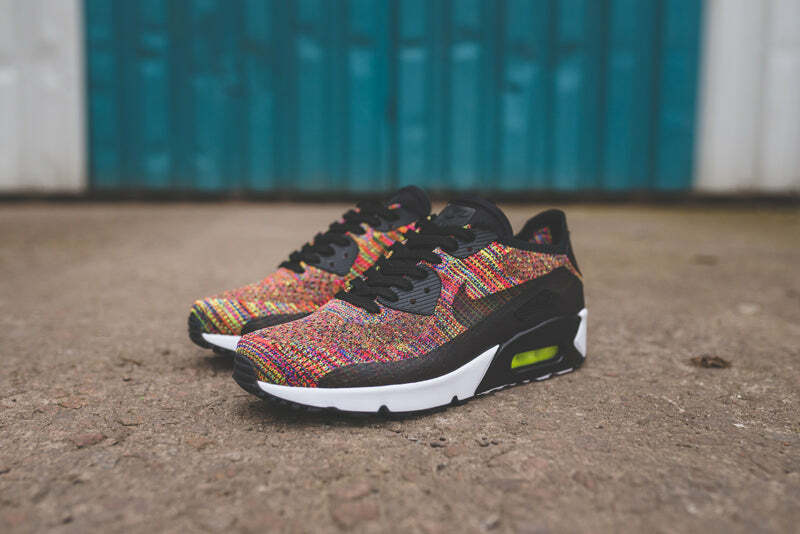 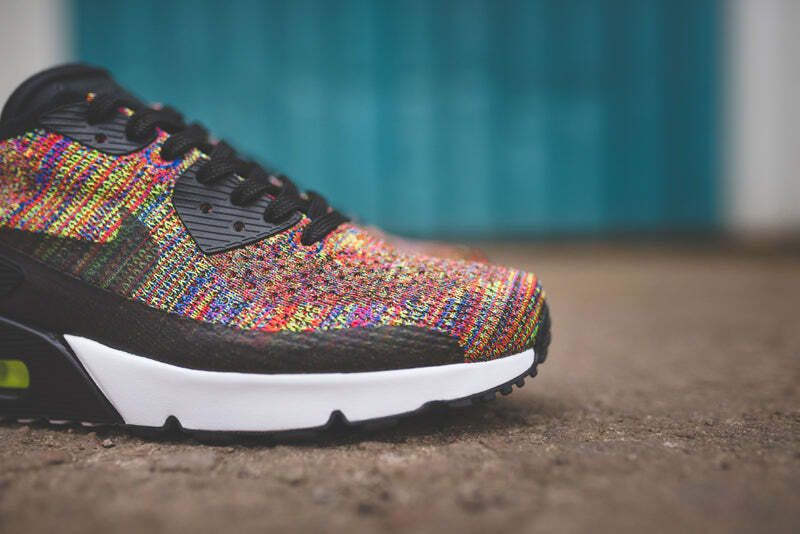 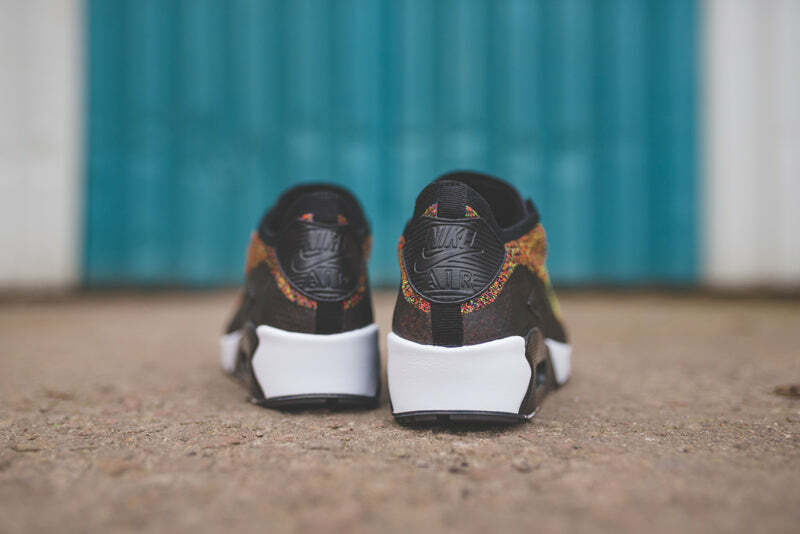 This spring sees the timeless 90’s Runner, the Nike Air Max 90 get shown some multi-coloured treatment. 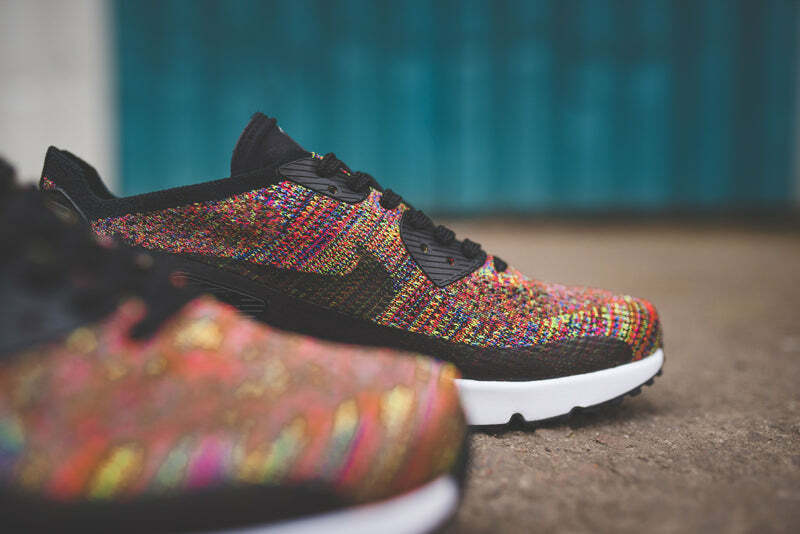 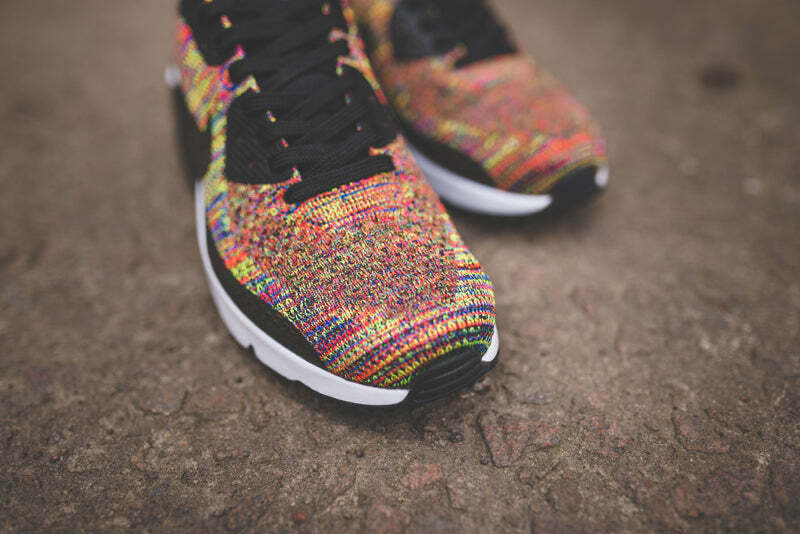 With an all Flyknit upper, it provides you with a lightweight breathable shoe. 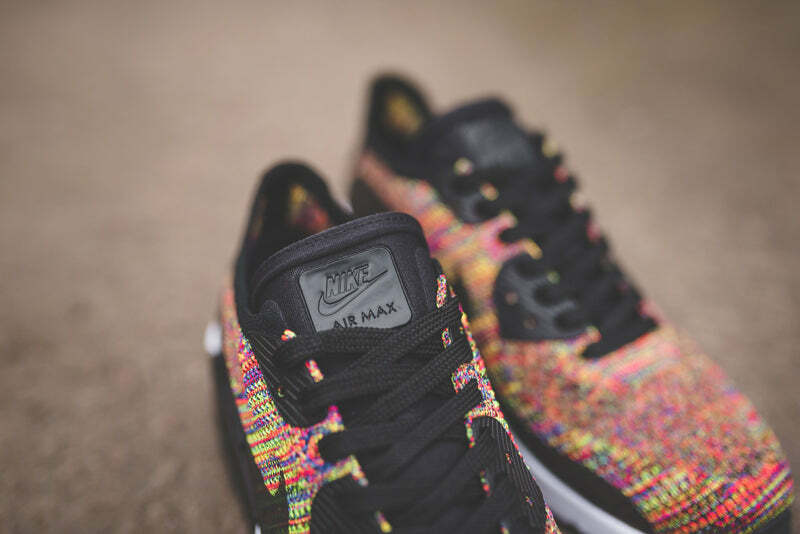 With a heat bonded black mudguard and Swoosh details. 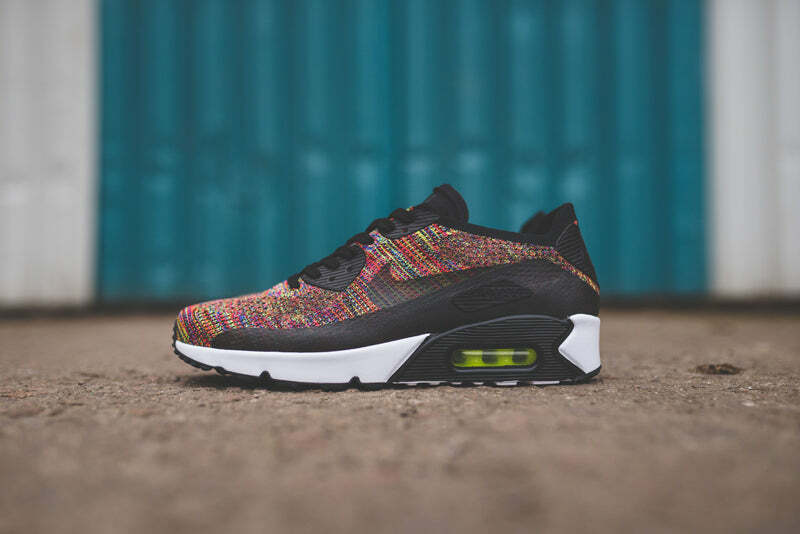 The crisp white midsole breaks things up nicely whilst the volt Air Unit packs a little punch in this SS17 shoe.